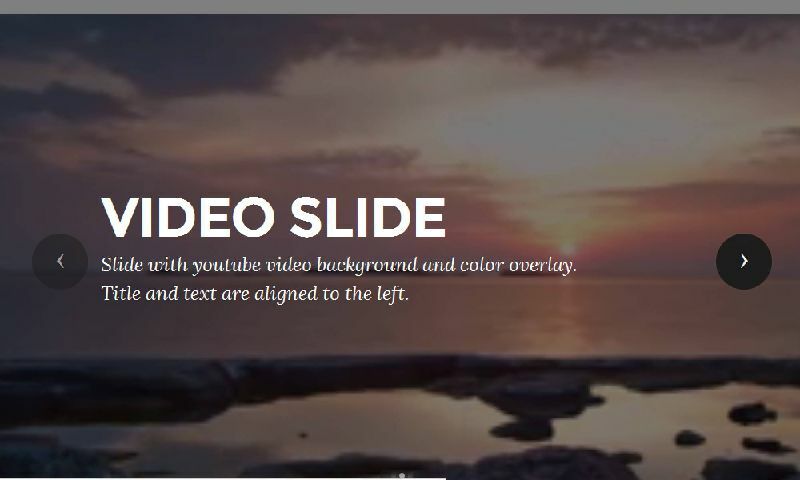 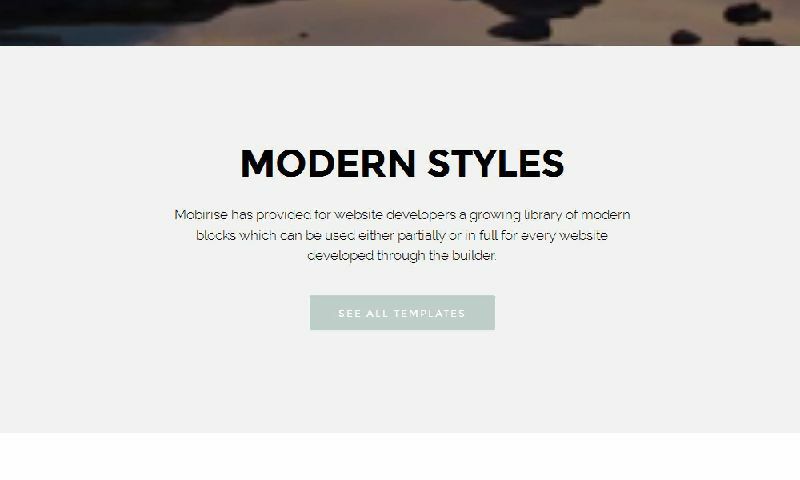 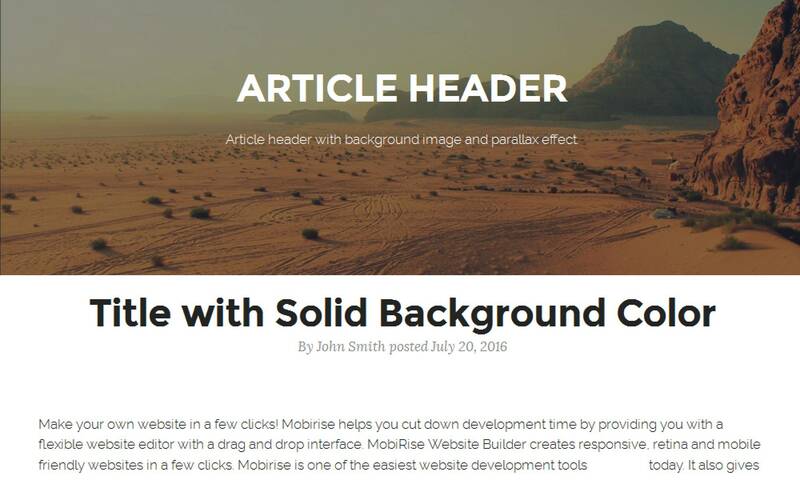 Mobirise 3 theme comes out of the box powered by the latest Bootstrap 4 Framework and carries within a rich arsenal of trendy yet flexible blocks to help you show the world your content the best way possible. 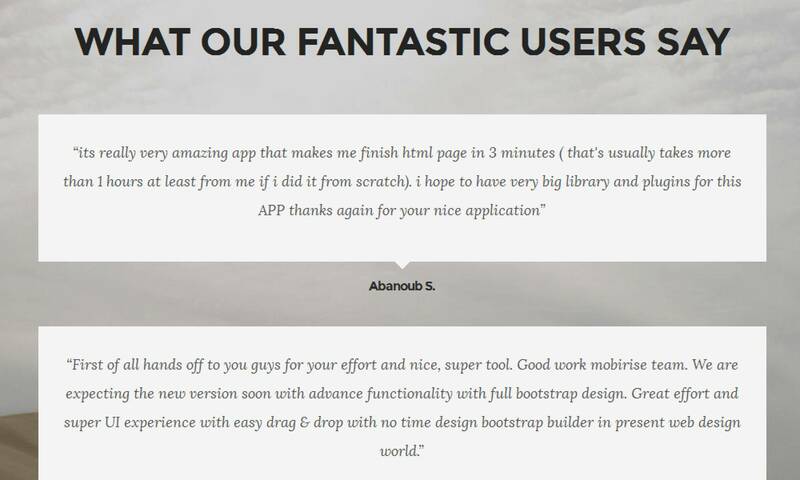 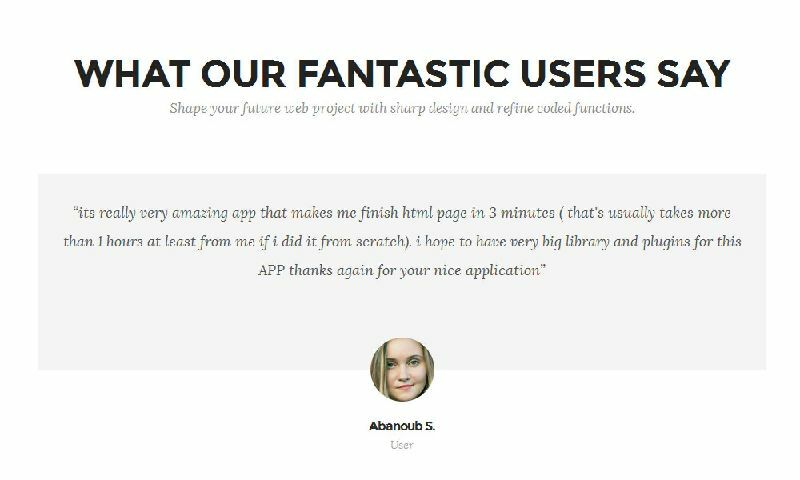 Easy and flexible - no coding skills required. 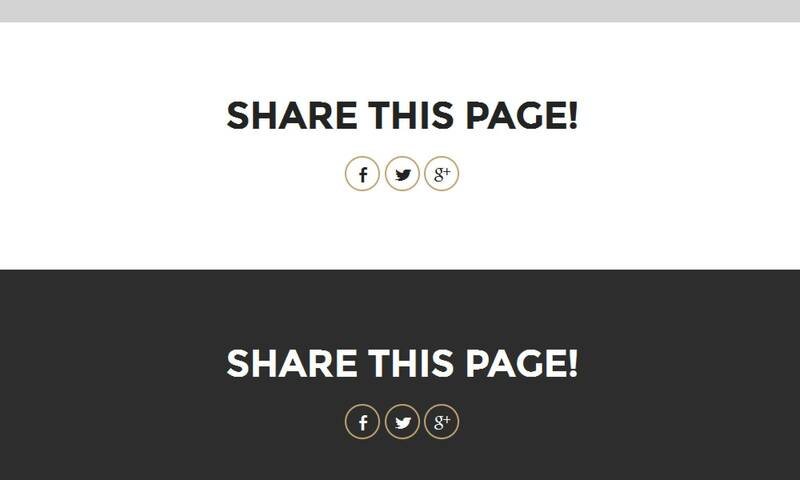 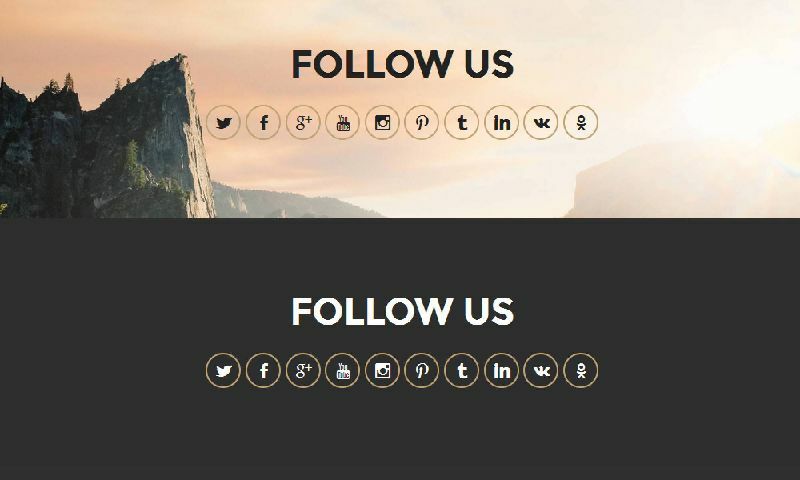 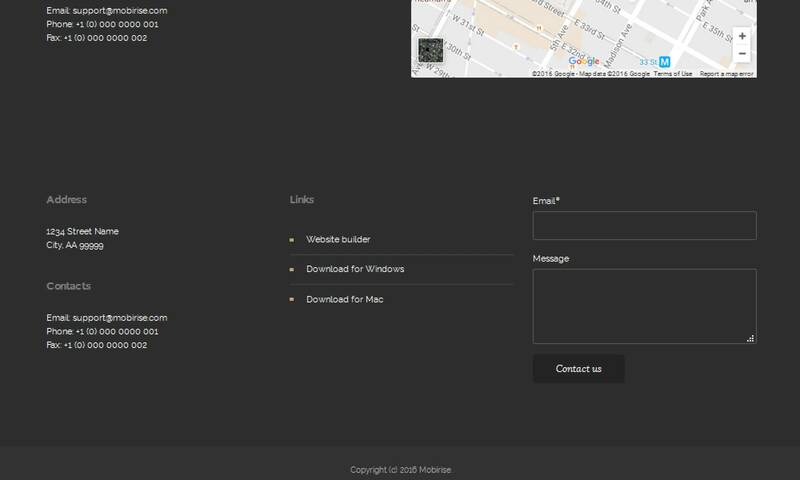 All the major social networks are reachable with dragging a block of customizable SHARE buttons. As easy as that! 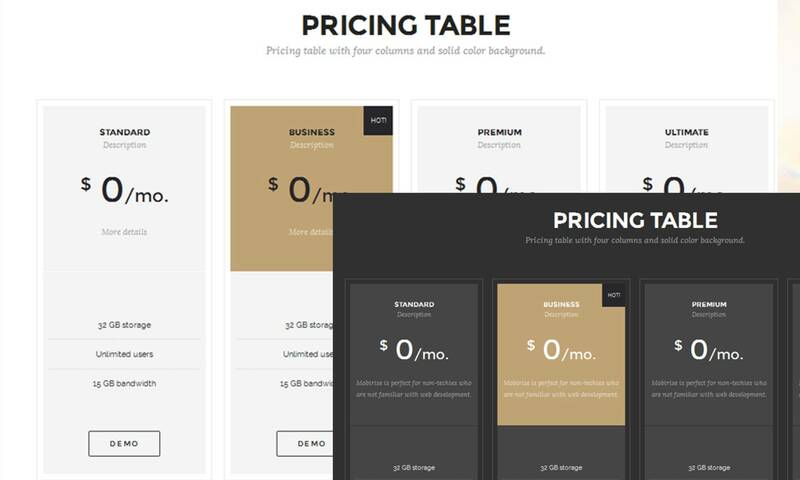 Rich of features pricing table elements with toggleable features, prices and best pick option. 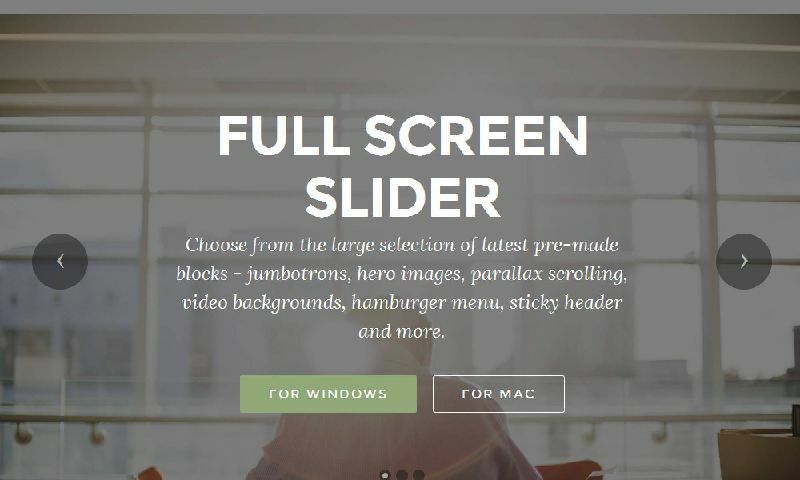 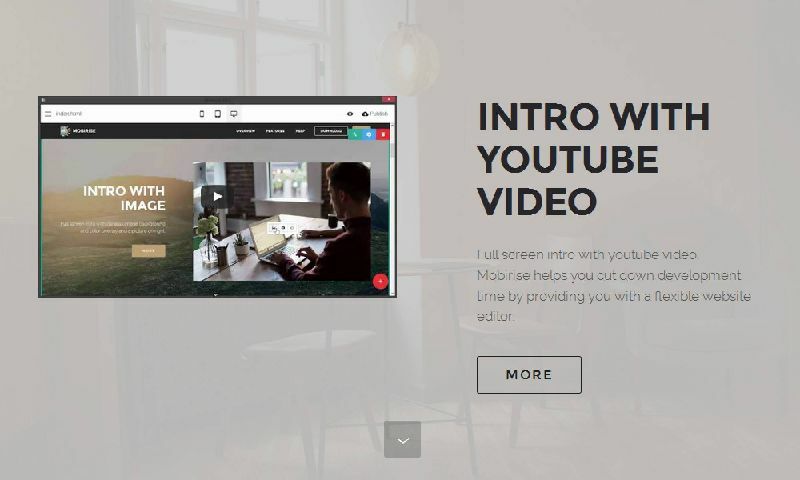 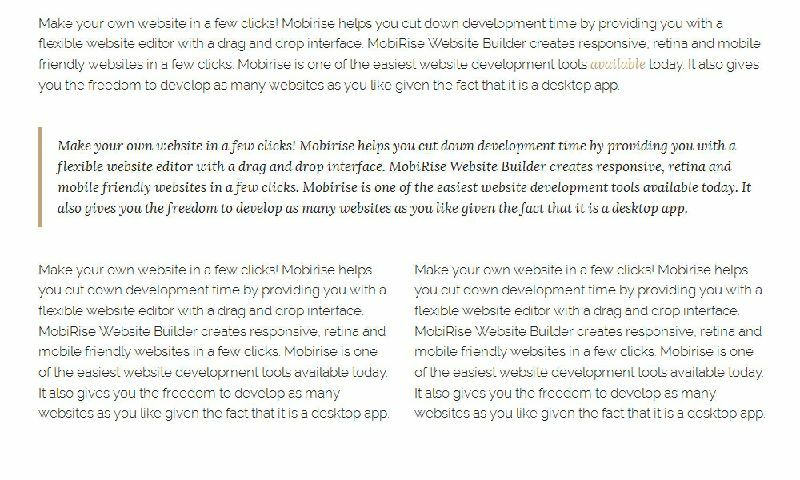 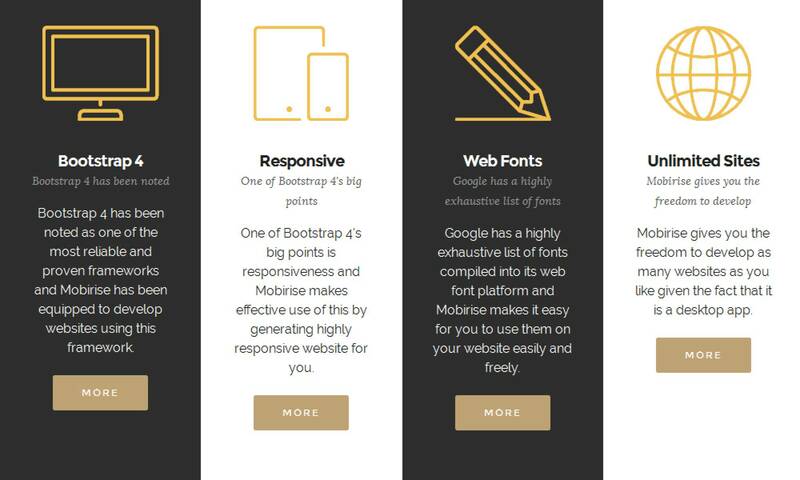 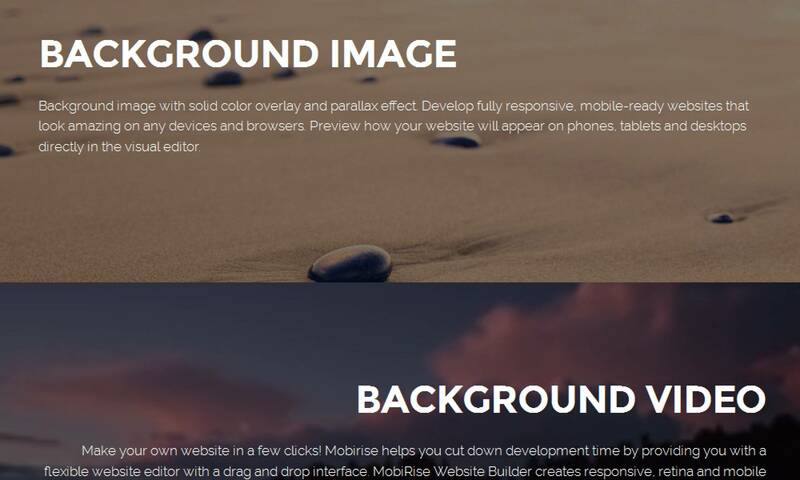 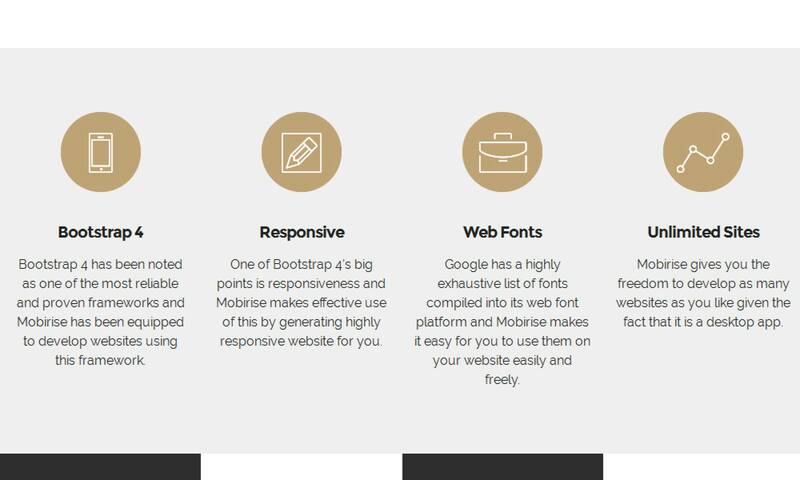 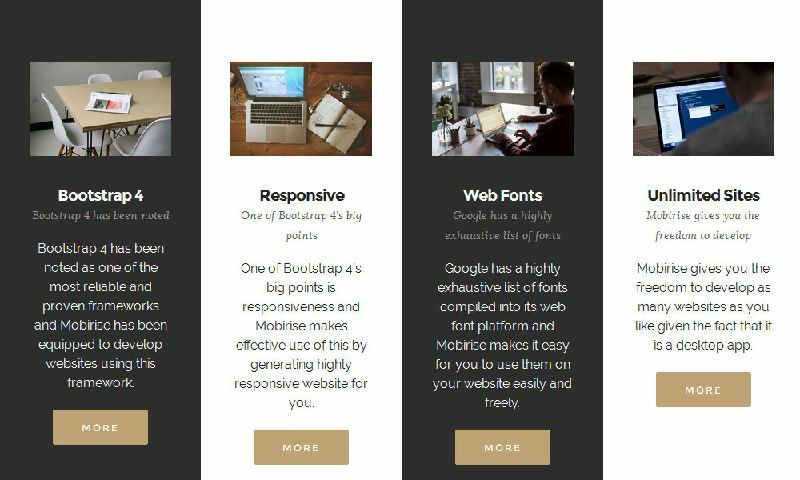 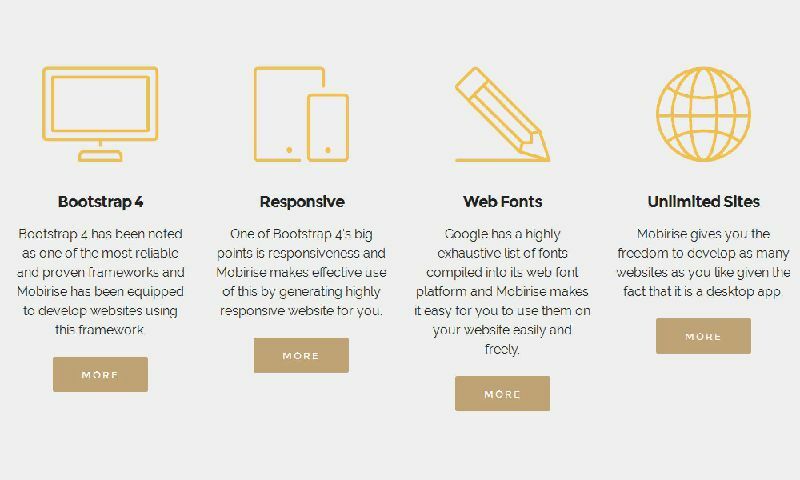 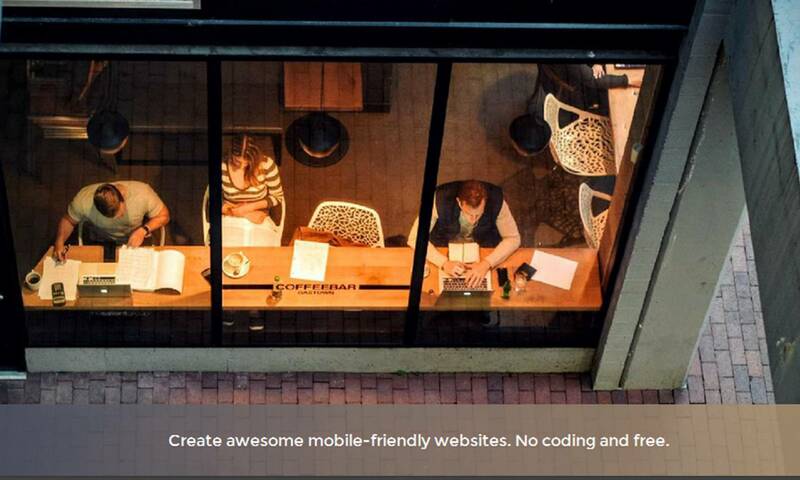 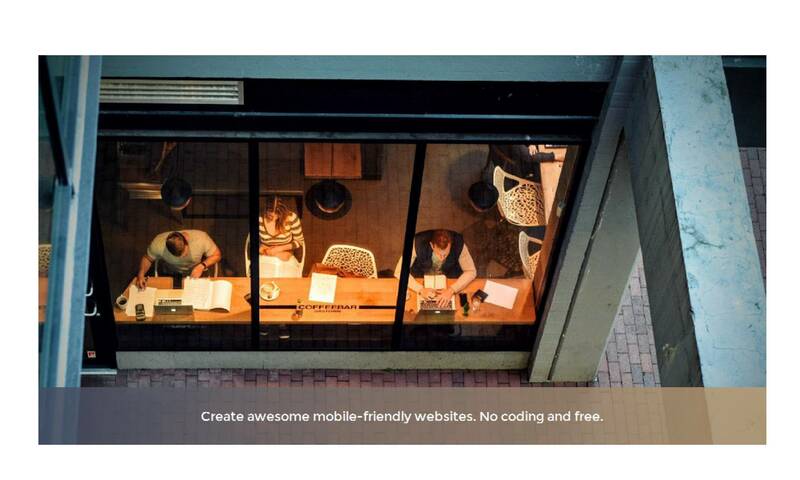 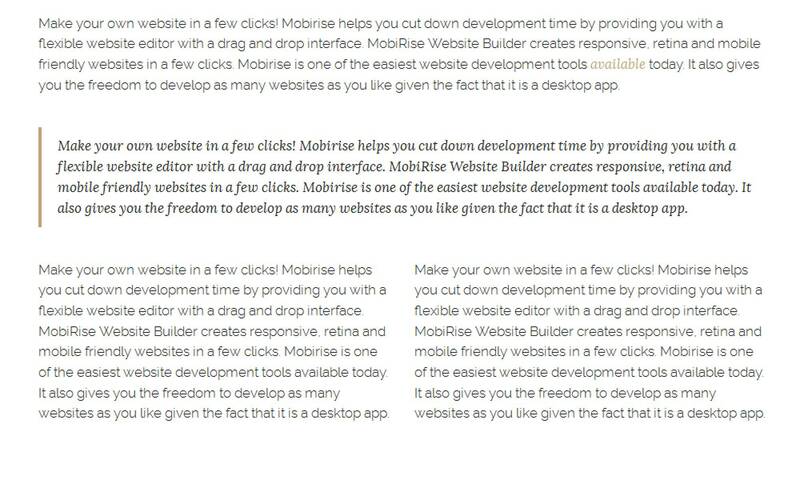 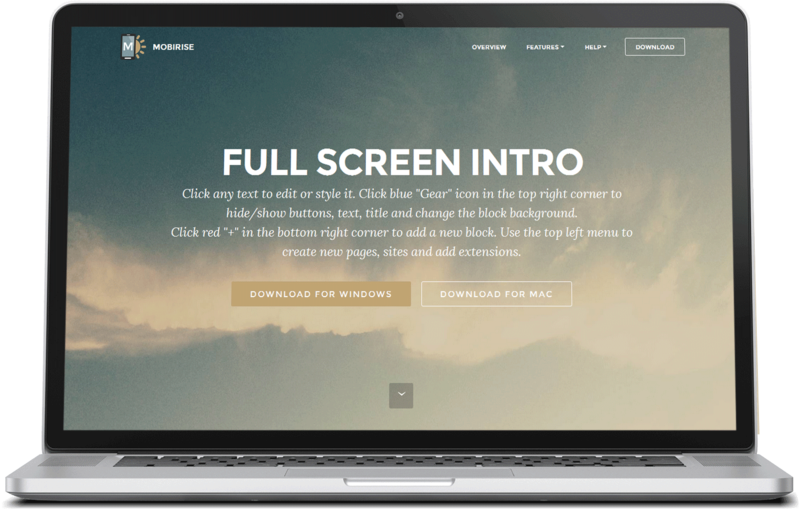 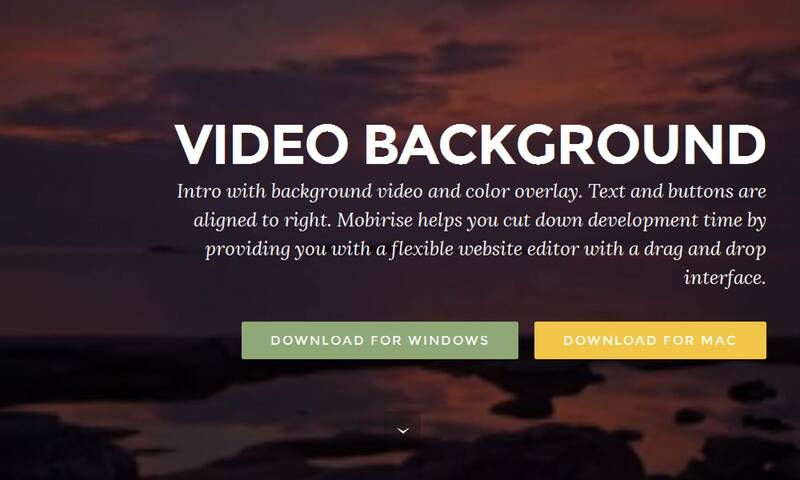 Mobirise 3 Theme is your best pick for creating awesome mobile friendly websites for you or your business - free of any initial or hidden charges. 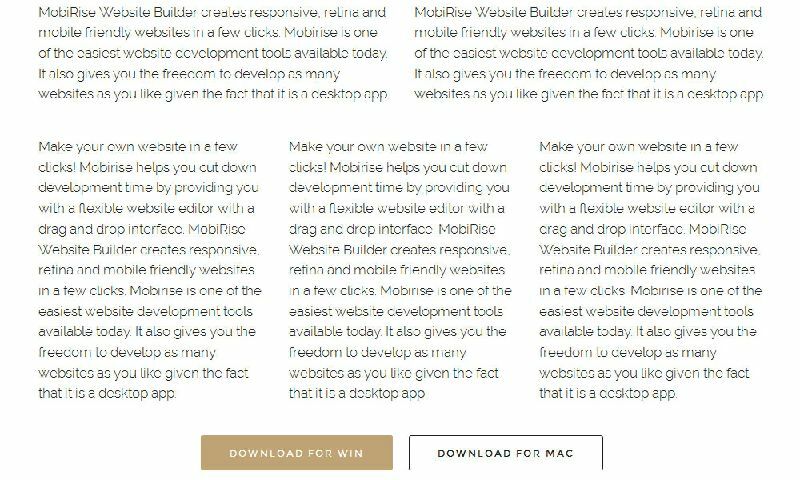 It comes out of the box entirely capable of handling all the needs a good web site might have. 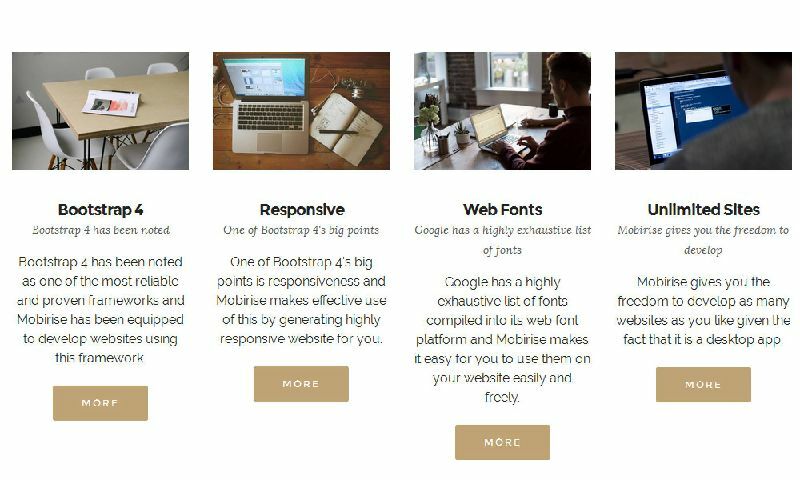 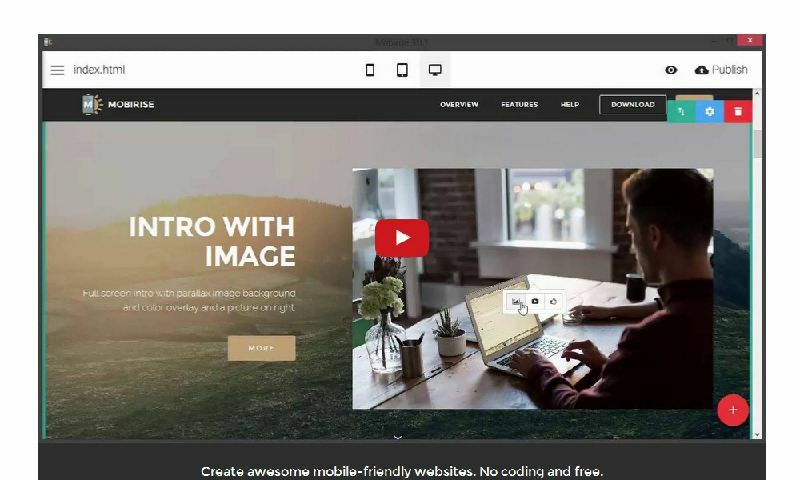 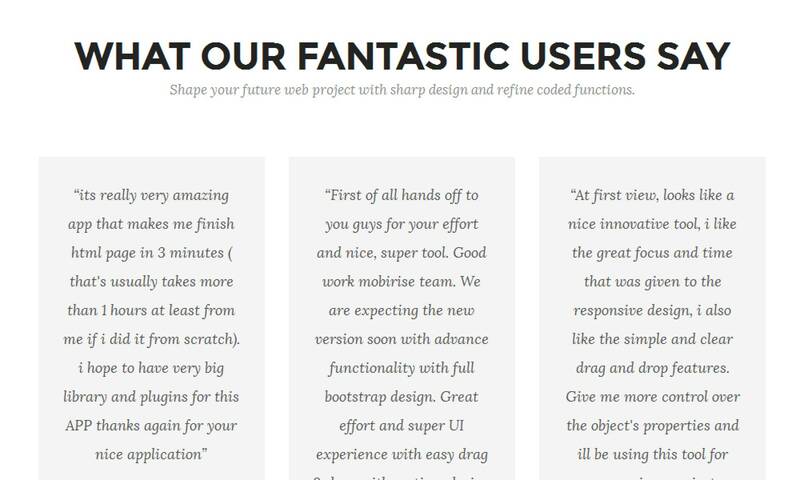 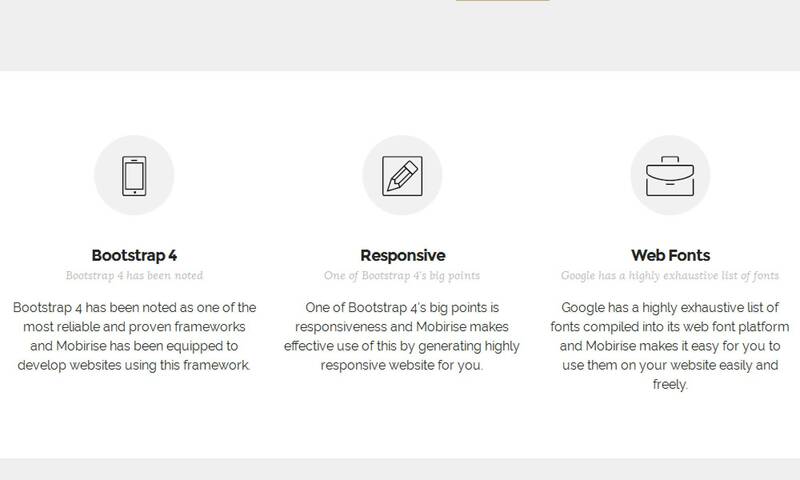 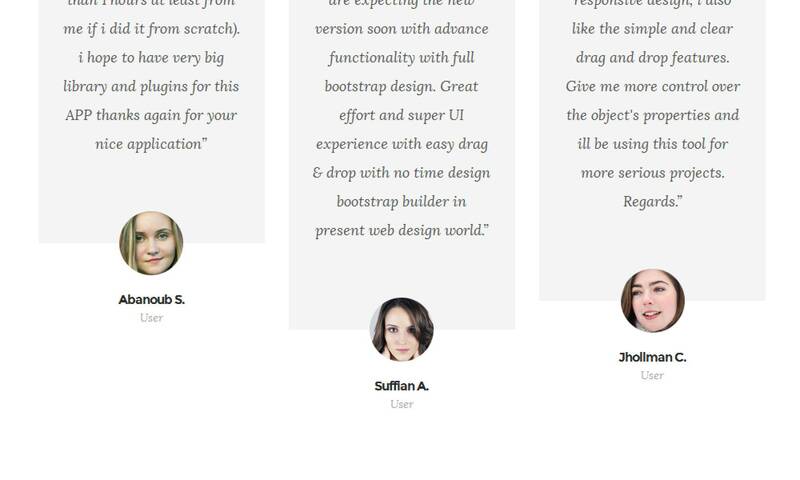 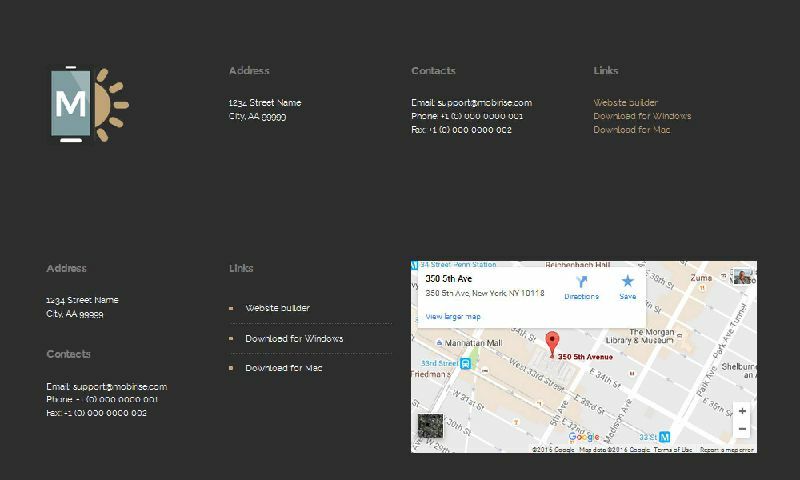 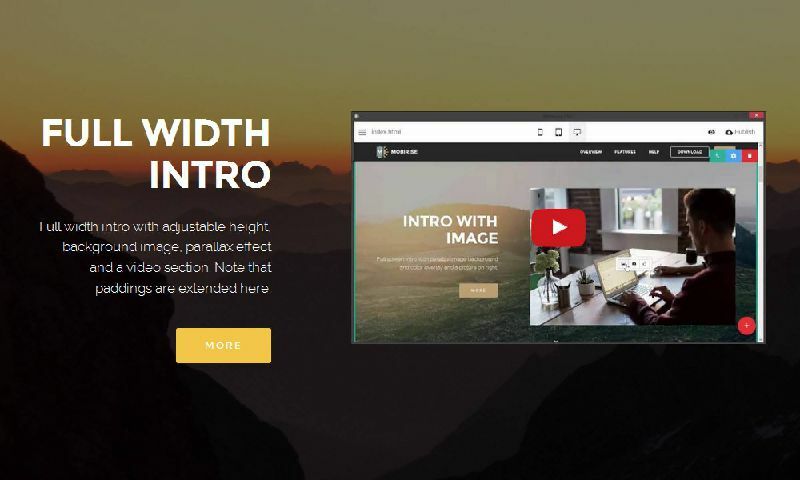 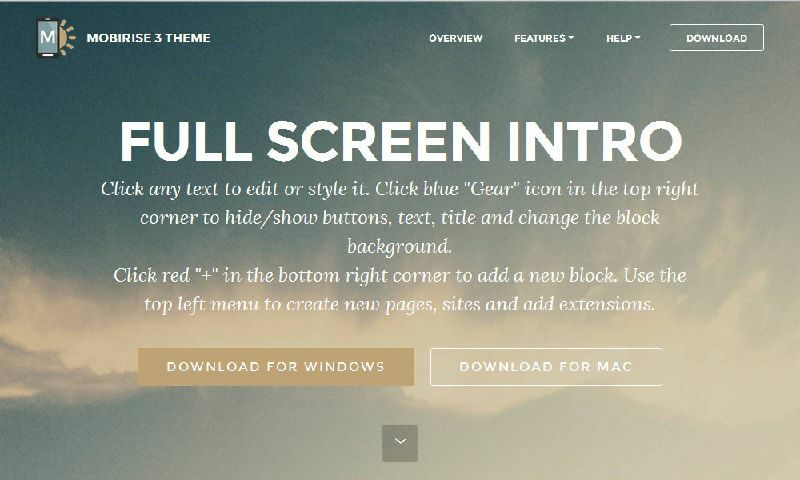 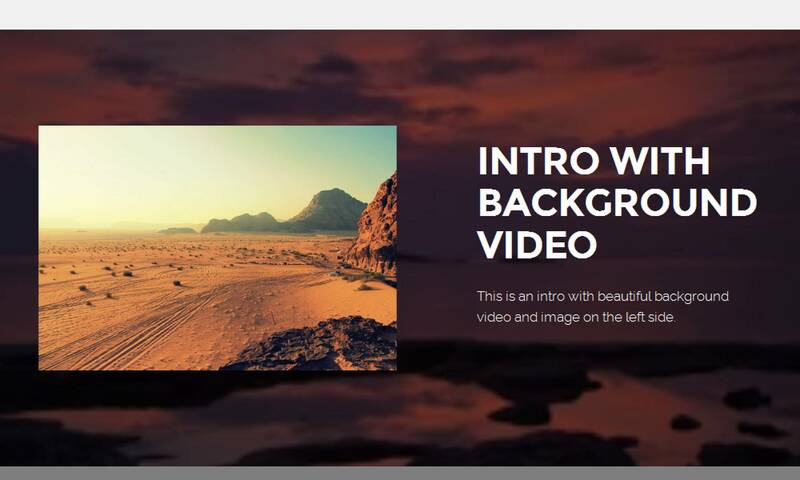 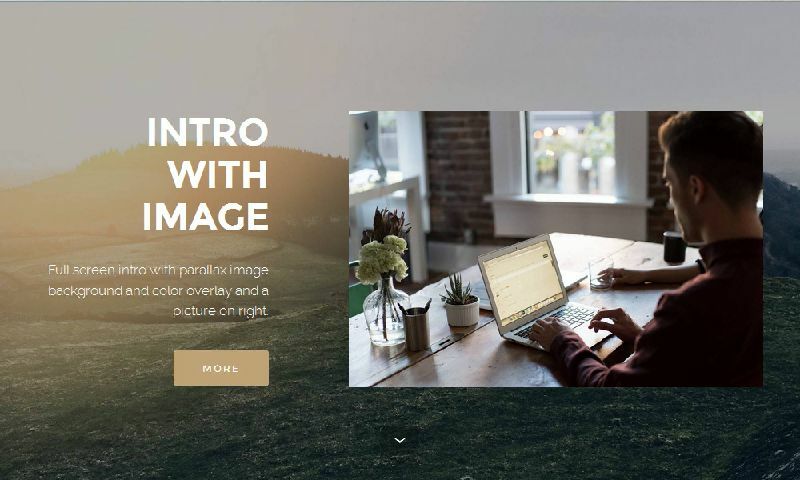 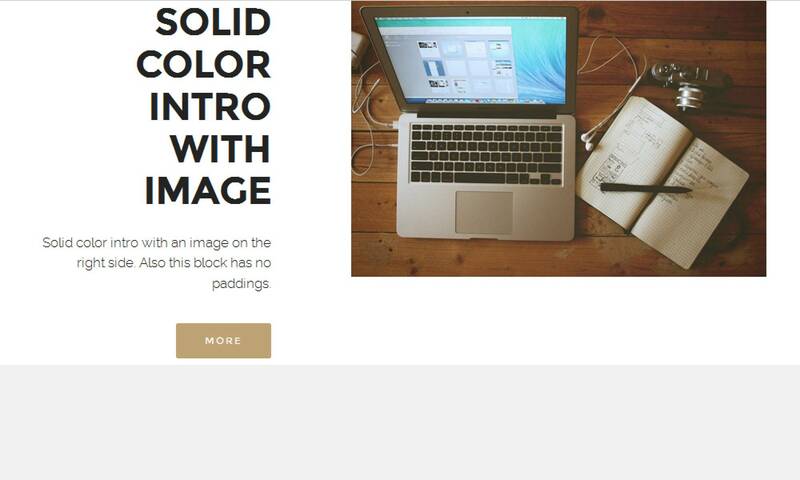 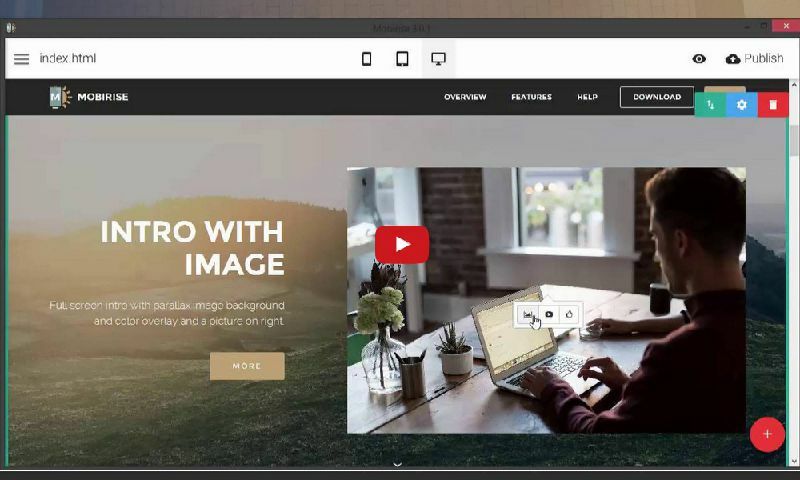 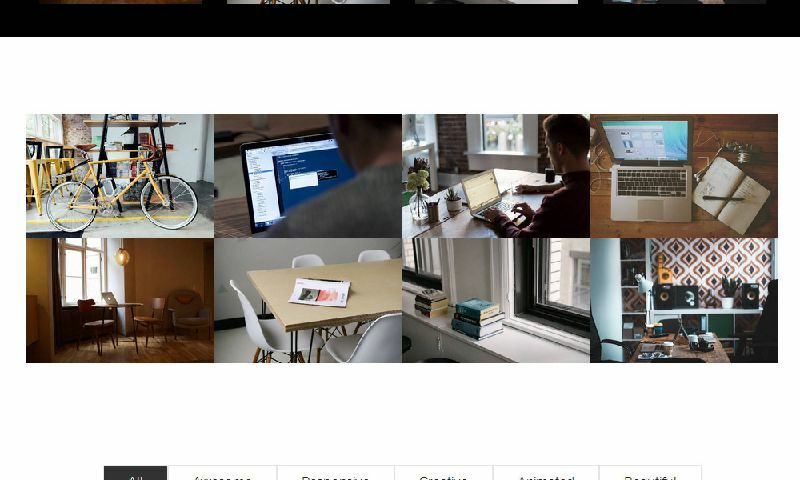 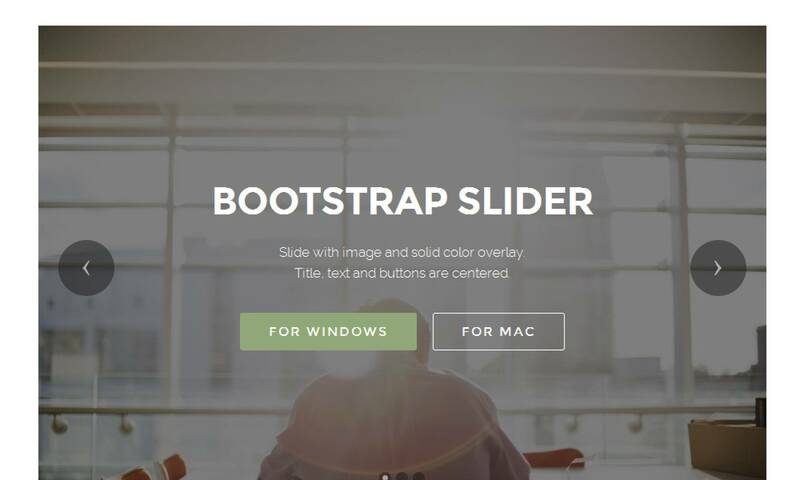 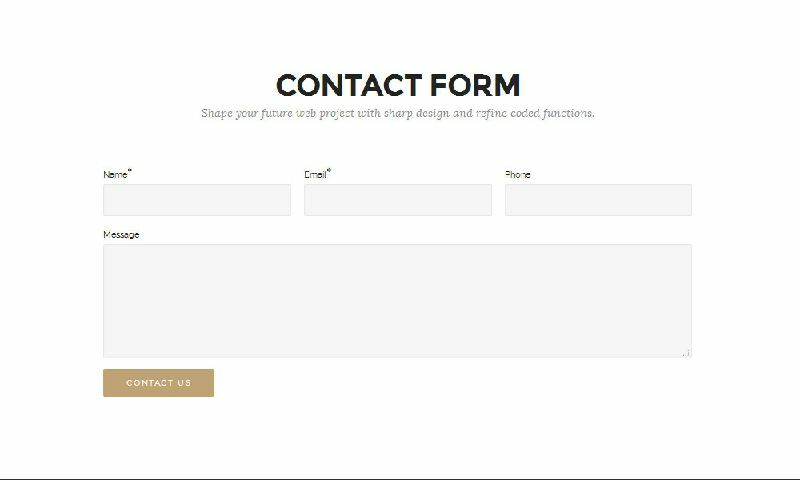 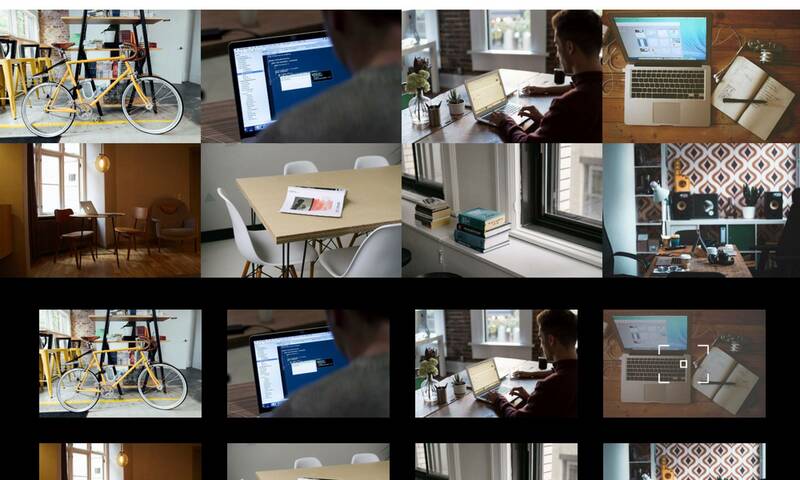 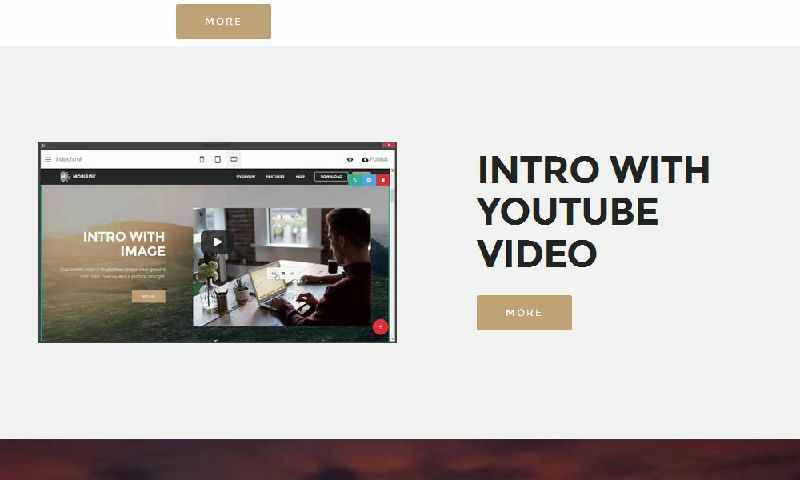 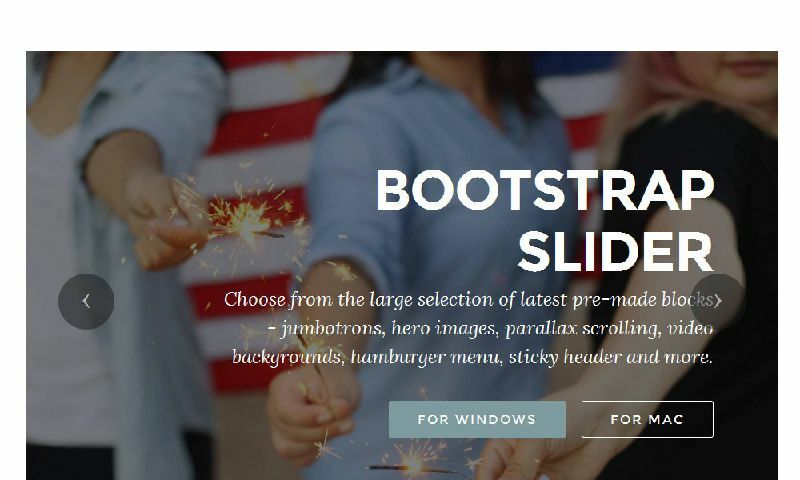 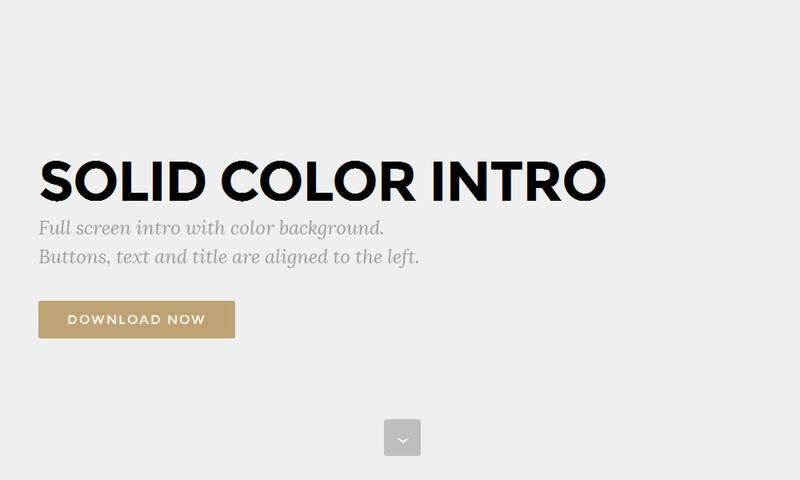 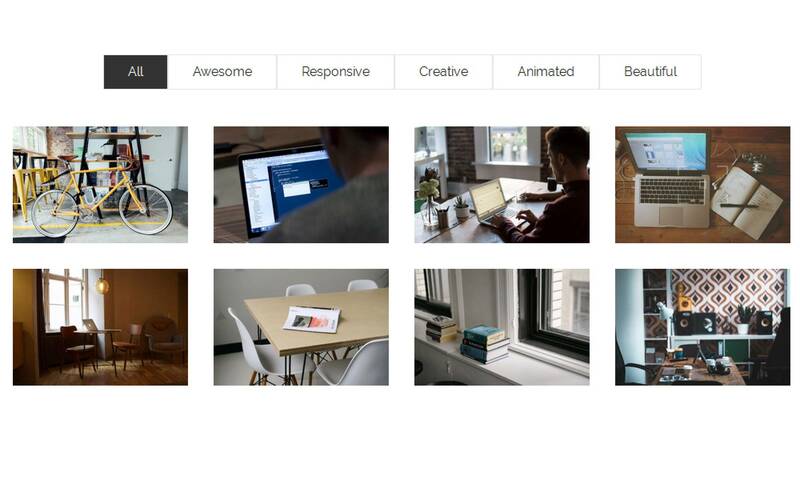 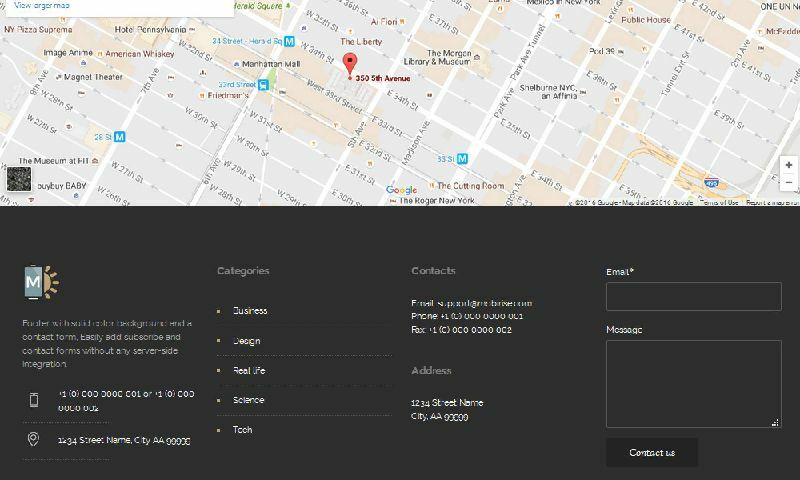 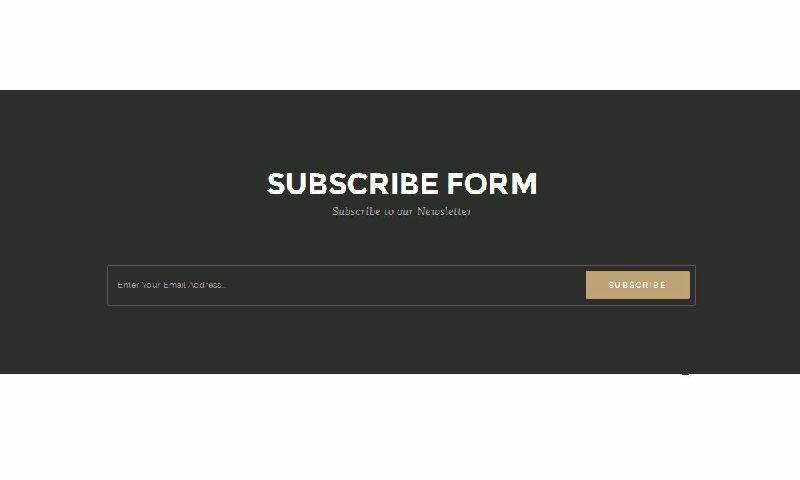 With this powerful Bootstrap 4 powered theme you can create your first site in a glimpse without writing a line of code. 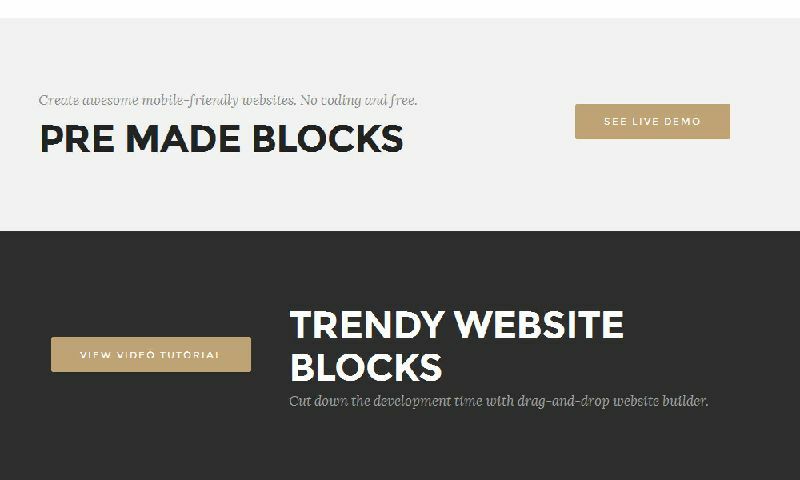 As an addition to it and to meet any imagination's demands there is also an amazing extra Pack of more than 60 blocks which can be added to it. SPREAD THE WORD ABOUT THIS !